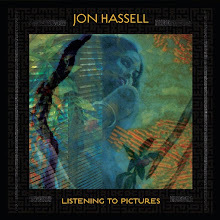 Another couple of weeks and another excellent project featuring some of the best on the Free Jazz scene. Platform 1 is an international combination that has worked together in various forms (most recently as Resonance Ensemble). But what makes Takes Off slightly different is the freedom in which the musicians create and utilize the space around them to superb effect. "Portal #33" had shades of Vandermark's main outfit, The Vandermark 5. The sound is fast paced but with a fun well-intended groove. Williamson, Swell and Vatcher are killer. The piece swerves with more improvised lines towards latter portions before Broo and Williamson lead the quintet gently out. This gives way to a steady, quiet and introspective "Stations," in which Broo's passages have a sweet delicate beauty to them. Williamson has a great quiet solo towards the end that is later joined by Vandermark. Really touching harmonies of dedication. "Deep Beige/For Derek's Kids," a double melodic suite written by both Williamson and Swell, moves with dark entrancing tones through subtle notes from the horn section and some free movement by Vandermark on clarinet. This first portion lulls the listener into a quiet sense of abandon. The mood becomes slightly more open and spacious with the second movement. Swell adds a blues-like touch that soon ventures into a very calculated abstraction and cacophony of the final album track "In Between Chairs." 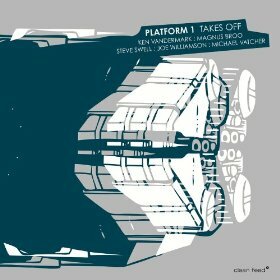 An excellent closing number that brings the session full circle with a boisterous bit humour but also a solid sense that Platform 1 could be one of Vandermark's more adventurous groups going forward. Solid stuff worth your listening pleasure.